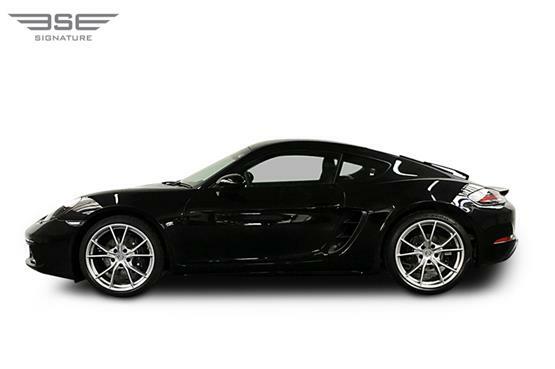 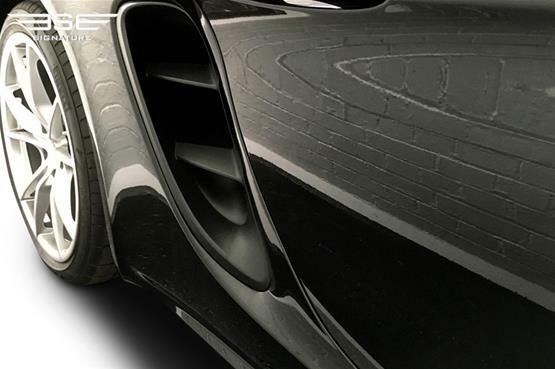 Our rental Porsche 718 Cayman is sleek and glossy finished in black. It features excellent steering with superb control, balance with great ride quality which makes it an ideal long-distance, two seat, grand tourer hire car. The driving position is absolutely perfect, while the cabin boasts ergonomic style excellence and quality throughout. 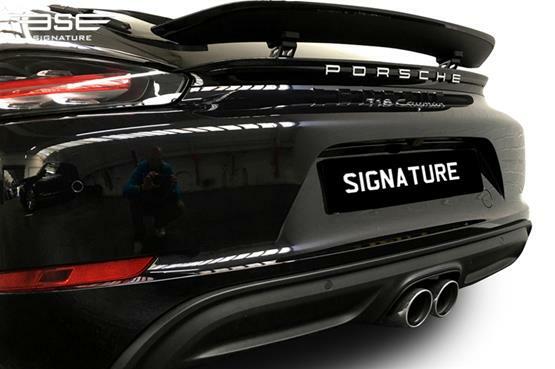 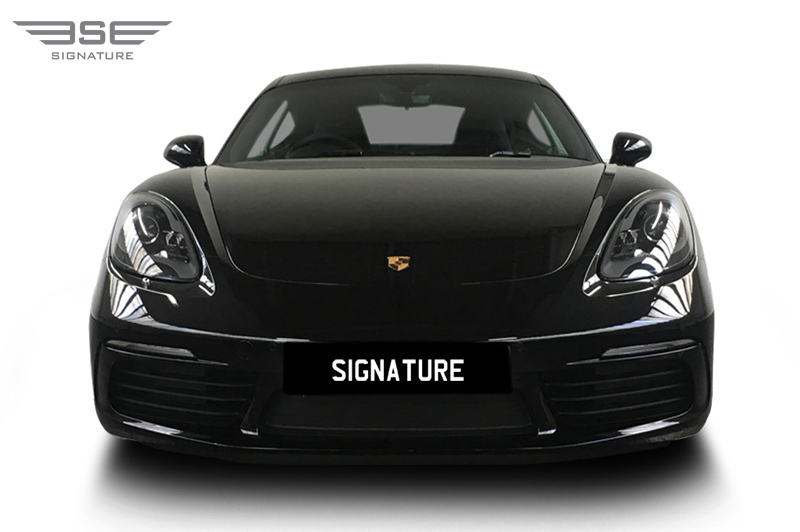 This indulgent sports car offers drivers superb performance thanks to the turbo engine powers this Porsche achieves; 0 – 62 in an astonishing 4.9 seconds. 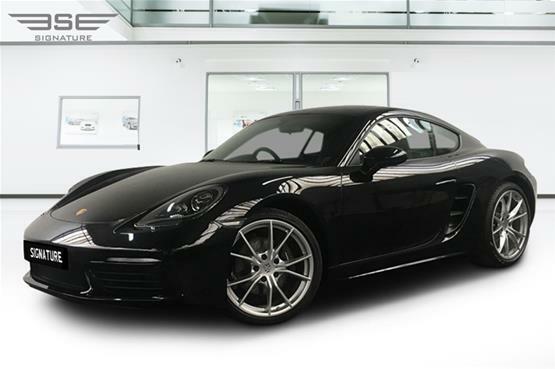 For hirers not looking for a powerhouse this car still meets all the requirements of a smooth and pleasant ride. Use this car as everyday transport around town, or as a cross country tourer, whatever you choose our Cayman rental car will exceed your expectations on every journey. If you are looking for an interior which is fully sports-orientated then you’ll love our Porsche 718 Cayman rental car. 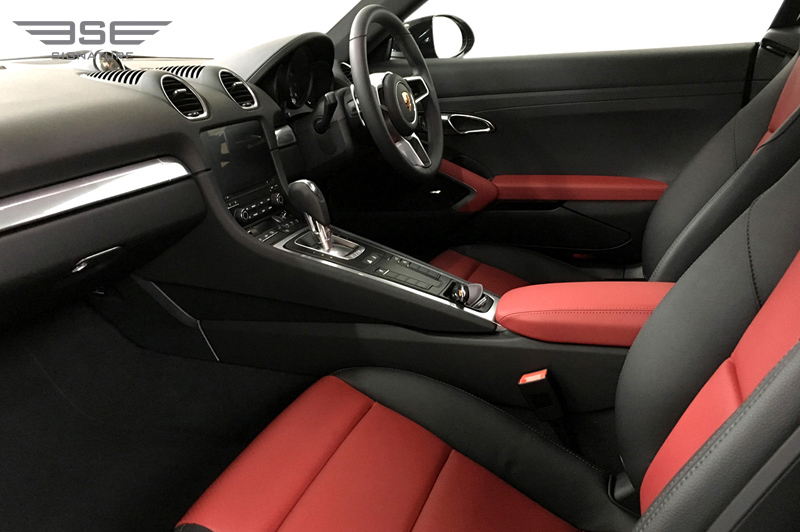 The driving position is low-slung and the seats offer comfort and support, the pedals and gearshift are all perfectly positioned for an easy drive. The 718's steering wheel comes with a dial that allows fingertip adjustment between various driving modes. Porsche's latest touchscreen infotainment system offers a menu that includes sat-nav and connectivity to your Smartphone via Apple CarPlay. 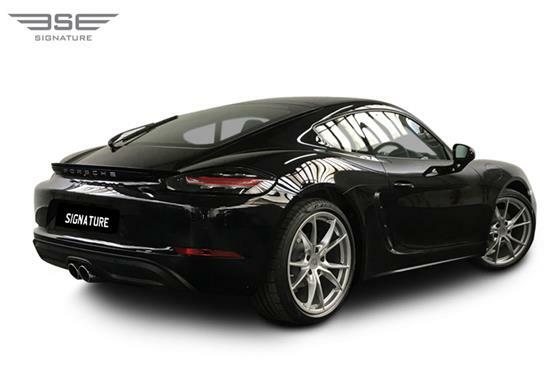 Our Porsche 718 Cayman hire car is also equipped with Porsche Doppelkupplung (PDK), Sports Chrono Package including mode switch. 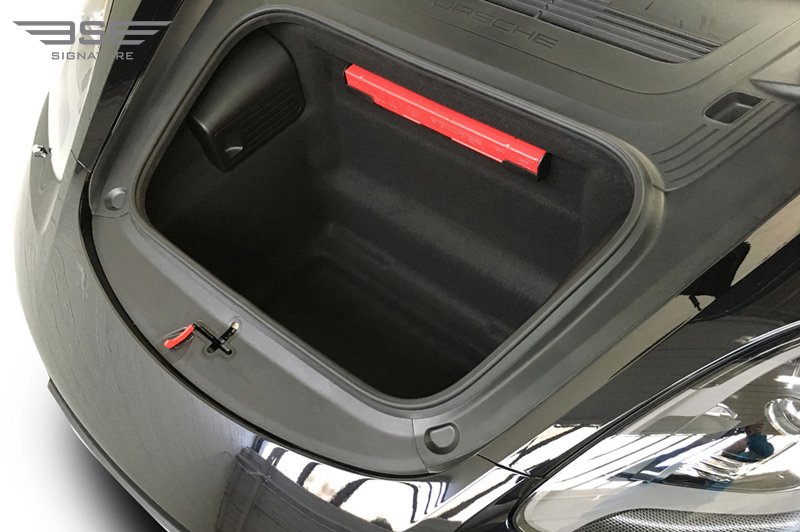 Driver visibility is excellent, and considering this is a sports car, it does accommodate the mid positioned engine providing for a deep luggage area in the nose that will house a sizeable suitcase, plus additional space below the large rear hatch is big enough to accept a light golf bag. This 718 Cayman is a great choice for a weekend getaway! 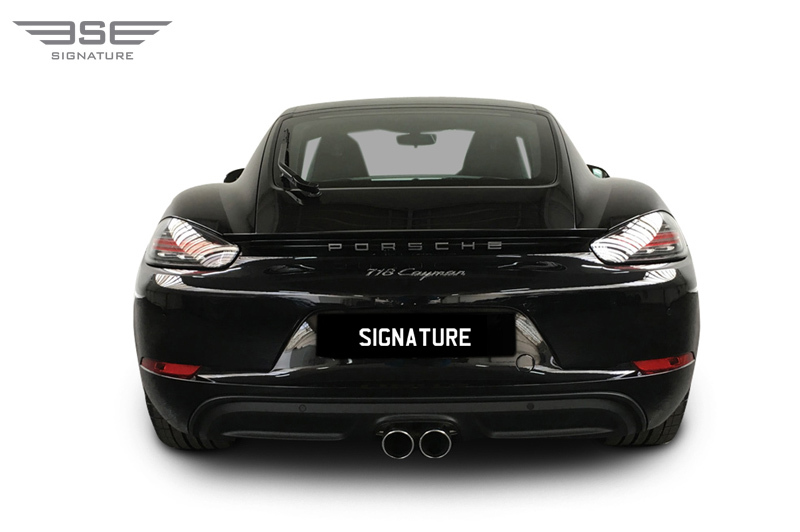 The Cayman gets its name from the Caiman which is an alligator like predator found in Central and South America. 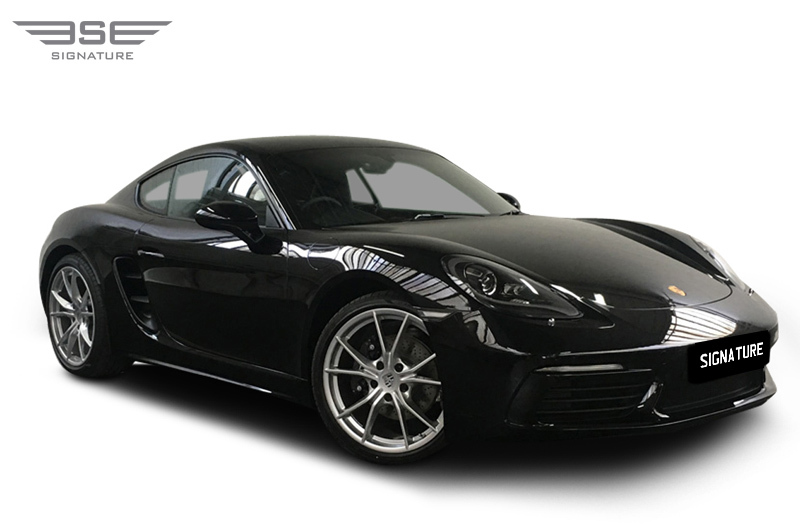 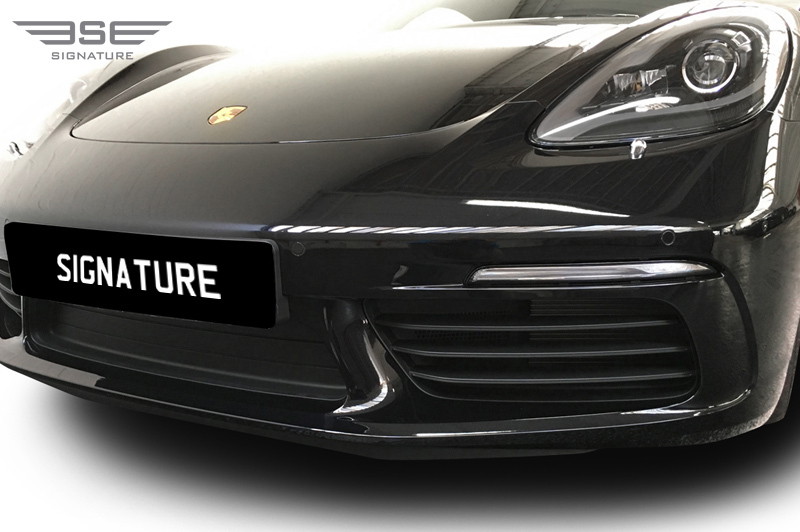 First launched in the 2006's Porsche coupé derived from Cayman, the second generation Porsche Boxster convertible. Most Caymans are assembled in Finland for Porsche with some being assembled in Zuffenhausen near Stuttgart.